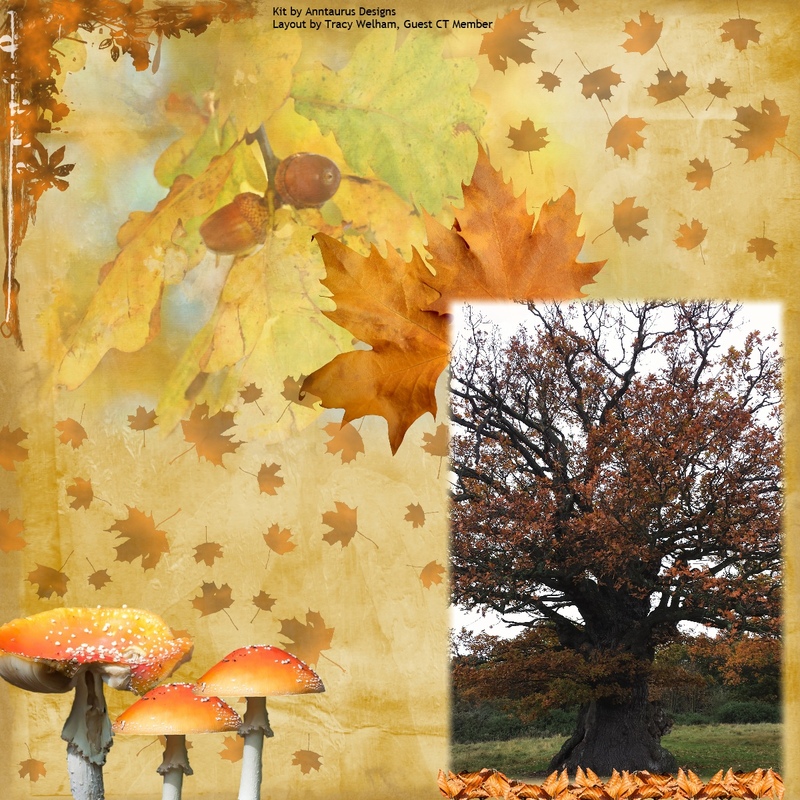 For my fourth page using the Anntaurus Designs Autumn Calling kit I have used one of my own photos. Today I am sharing my third layout using the Autumn Calling kit from Anntaurus Designs. All the elements are from the kit. 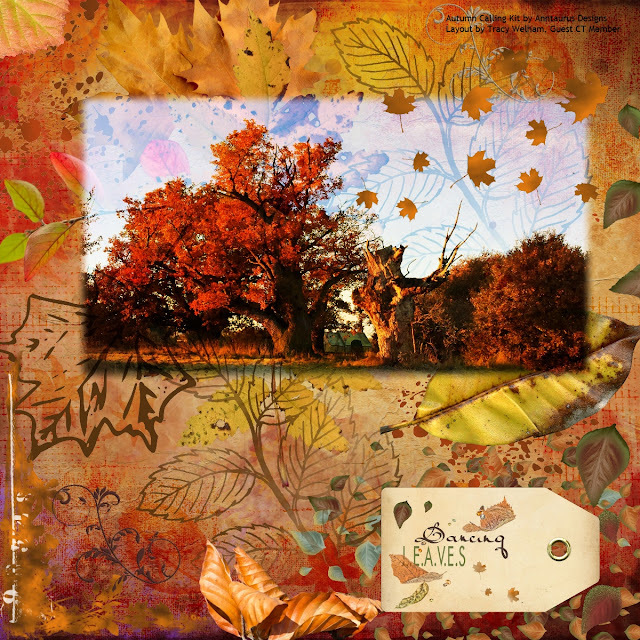 Another page using the Autumn Calling kit from Anntaurus Designs to share today. 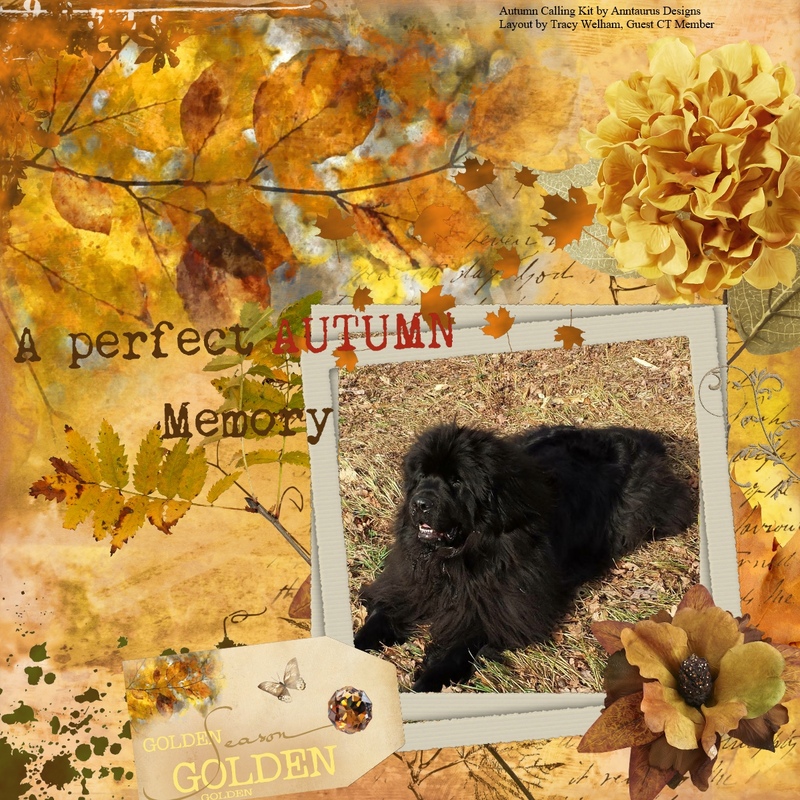 I have used one of my own photos to blend into the background. 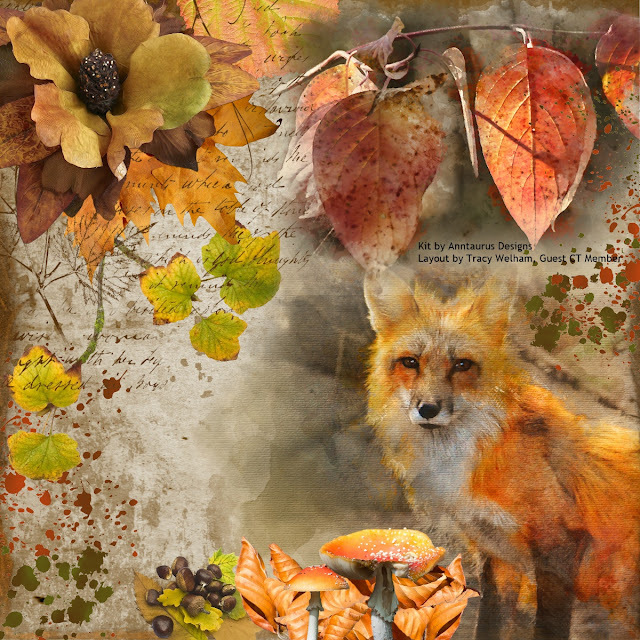 These colours are just one of the reasons I L💗VE Autumn. 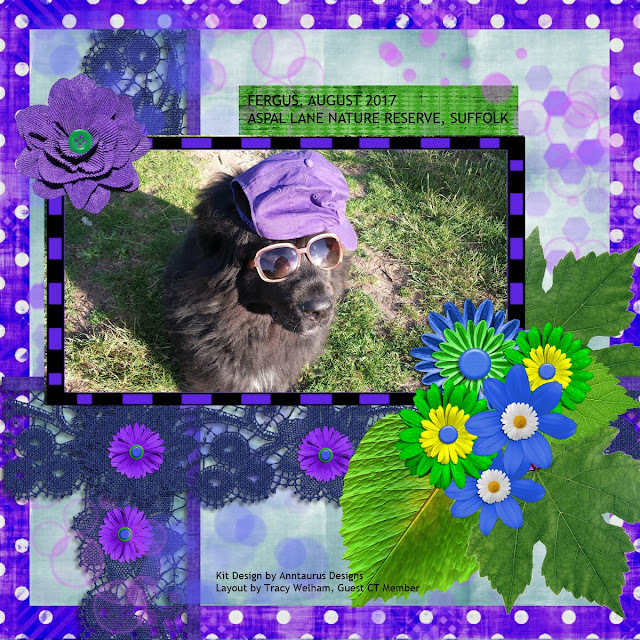 Today I'm sharing a digital scrapbook page using the Autumn Calling kit from Anntaurus Designs, and a photo of my baby bear from November 2016. 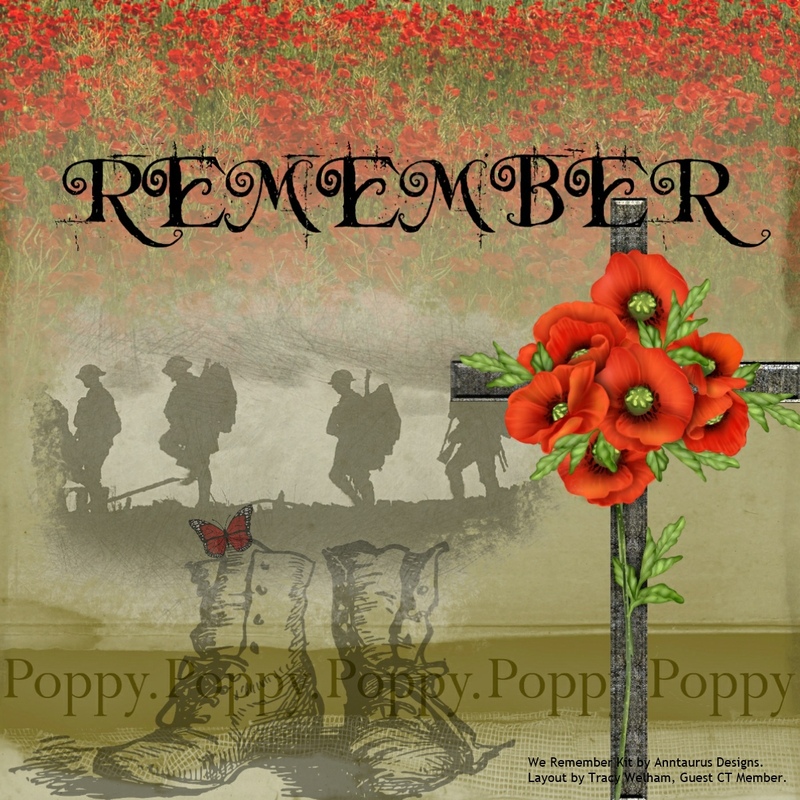 Today I am sharing a further 3 scrap pages using the We Remember kit from Anntaurus Designs. 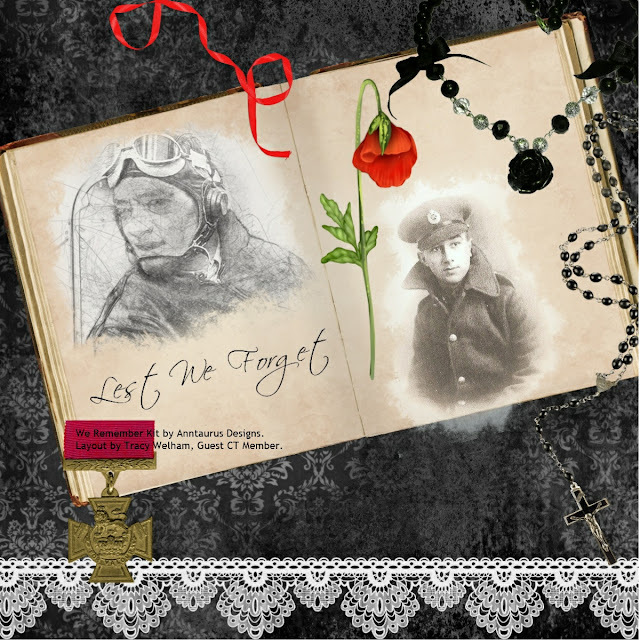 Two of the pages including photos taken by me. Poppies and gravestone are my own photographs. 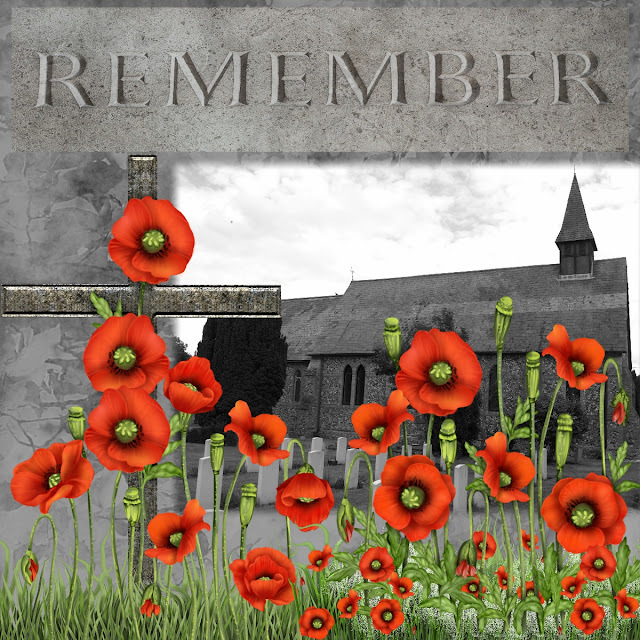 My own photograph of our local church where lots of un-named airmen are buried. 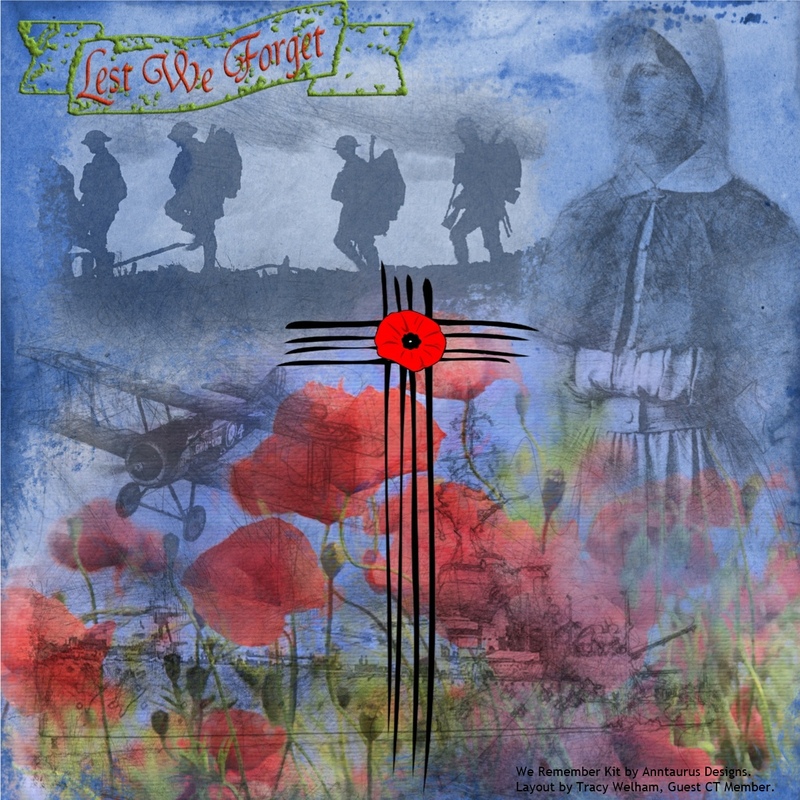 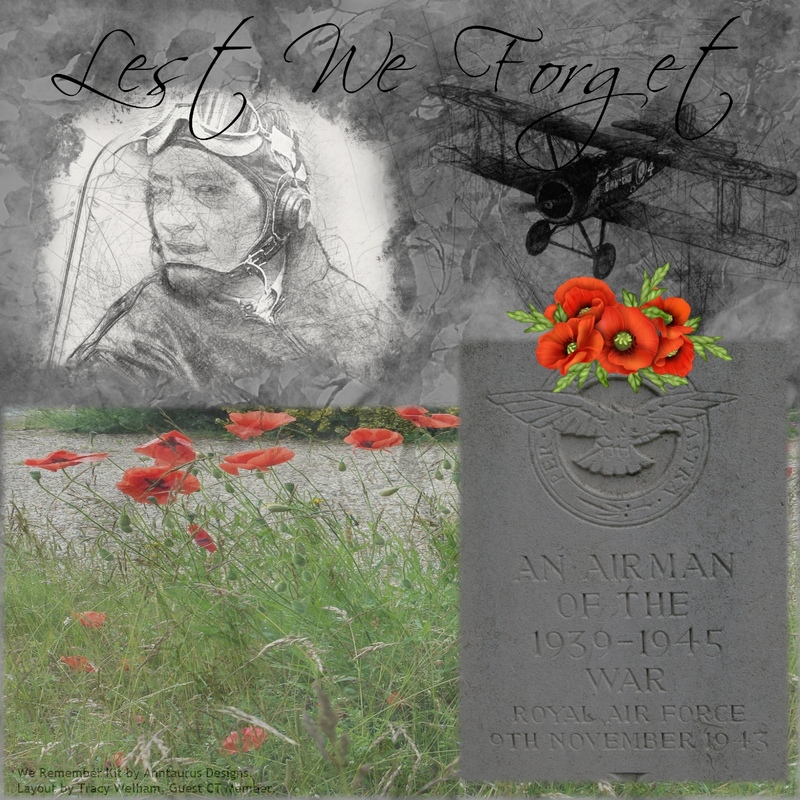 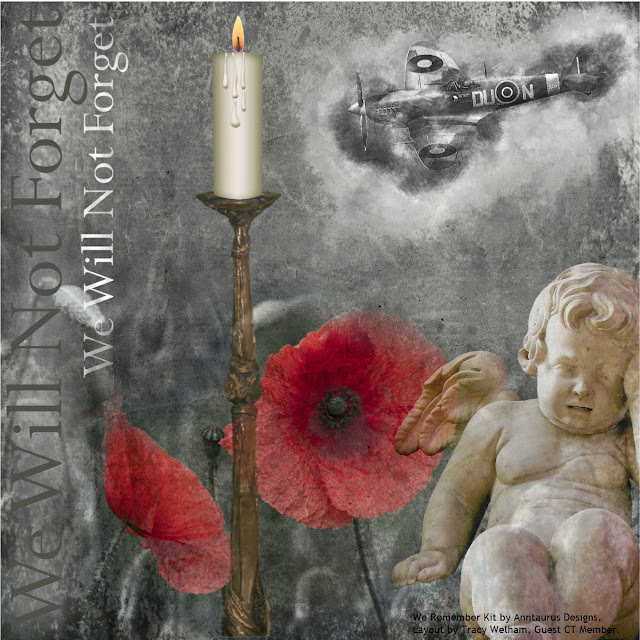 Today I am sharing 3 pages made using the We Remember kit from Anntaurus Designs, all the papers and the elements are from the kit. 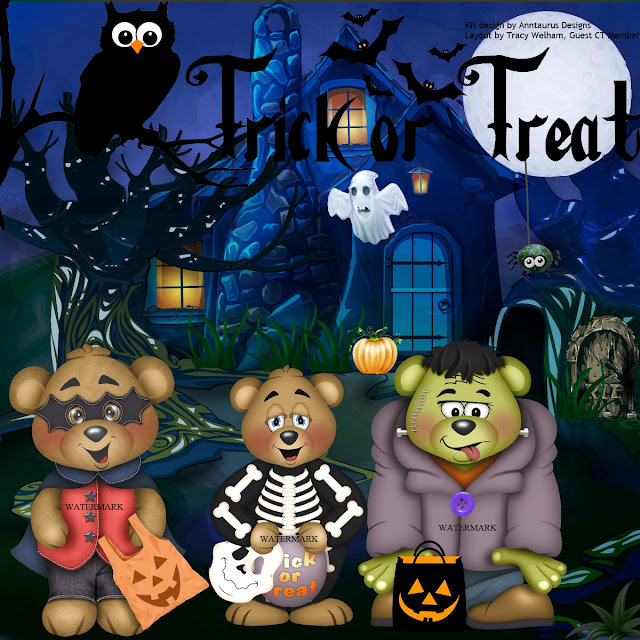 Today I am again using the Trick or Treat kit from Anntaurus Designs but as you will see my page is not Halloweeny at all. All the papers, elements and embellishments are from this kit and of course the photo is of my baby bear, Fergus looking way cooler than I ever could in a baseball cap and sunglasses! 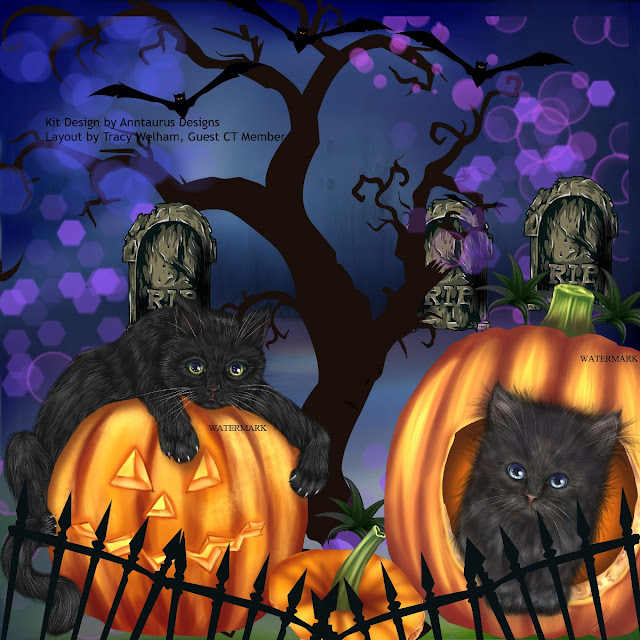 Today I'm sharing two pages using the Trick or Treat kit from Anntaurus Designs, unfortunately there was a delay in the release of this kit so hence the Halloween pages post Halloween.